Plastik for Fantasy Faire 2015! These are some seriously radical skins. They’re comprised of some intense shading and highlights, then offset by delicate features, soft markings, and small scratches and stone markings. They come in 17 tones, in Male and Female, and in tons of different wear styles. The male skins come with 3 different chest styles, as well as 6 face styles. The Female skins come with 2 chest styles and 3 face styles. The Female applier pack is sold separately, but has all of the appliers you could possibly need for your future mesh part purchases! Definitely grab a demo of these gorgeous skins! The Everilda Sets are 100% mesh custom jewelry sets that come in a multitude of amazing styles. As well as all of those attachments in different metal types- including Black, Silver, gold, and Liquid Gunmetal types. come with extra embellishments in the form of tiny dots, and miniscule flowers. These are EXCELLENT for roleplay and elven/fantasy situations, or any situation that you’re in need of some amazing jewelry for! The Illariel Sets are 100% mesh custom jewelry sets that come in a multitude of amazing styles. There are twenty main jewel types to choose from, all as varied and as smooth as the last, so you’re sure to find one you love. The Machocka Horns are 100% custom mesh, unrigged horns in 12 different wear styles. They feature gorgeous ridges, elegant highlights, deep shading, and awesome hanging jewels with strings. There are two included huds that change the metal tips of the horns, as well as the strings, settings, and single color gems. These are highly moddable and resizable, low-lag scripts, and can be made as large or as small as they needs to be made. Comes in 25 gorgeous faded and solid color variations! 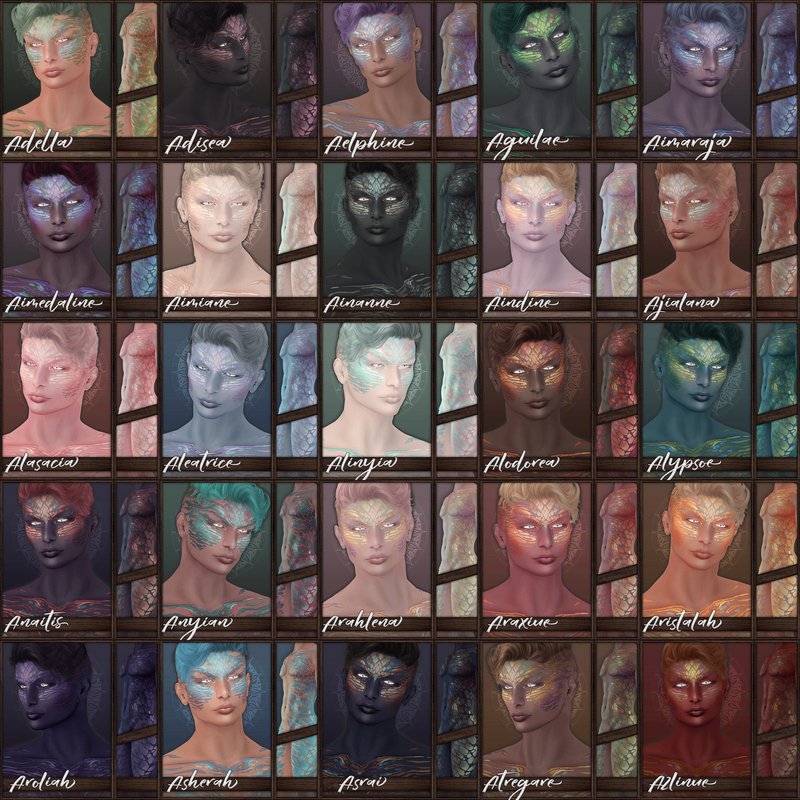 We’ve got some amazing Low Lag Avatars for Fantasy Faire this year, and you can grab the entire avatars for free! Skin, Hair, Makeup Layers, Outfit, and Accessories. 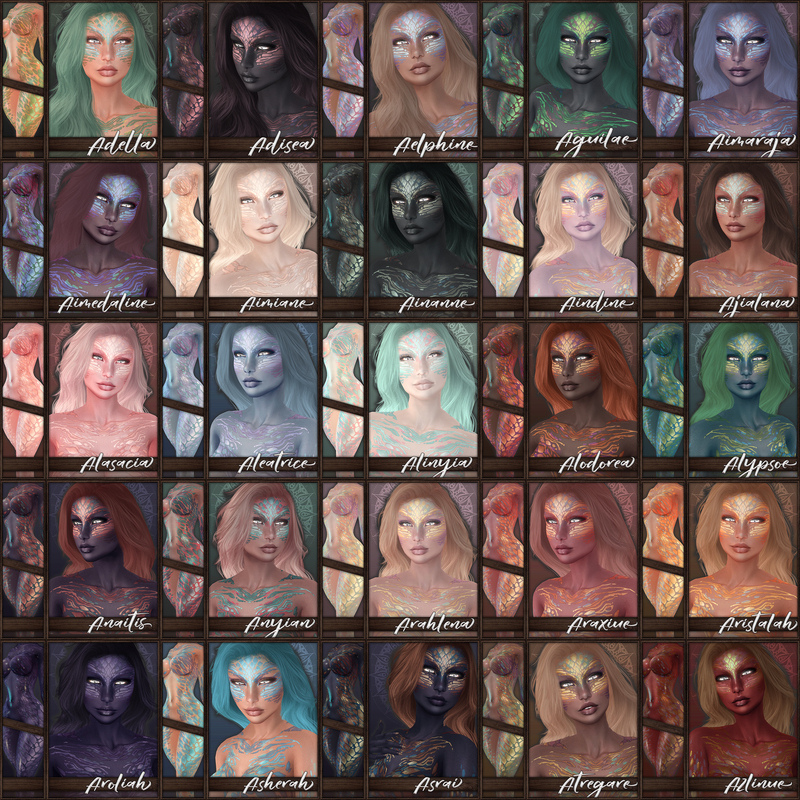 all of the makeup addons, all of the body addons and a metric ton of appliers in every single form. Male skin comes with appliers: Slink hands, Slink Feet, and Slink Fingernails and Toenails. Both sexes of the skin come in the packs and the packs are all inclusive. Charity Donation Items this year! There are FOUR awesome donation items to contribute to our cause this year! eyes, eyeshadows, makeups, and much much more inside. There’s really no coherent way to list everything in this pack. A huge megapack of amazing Horns. Gatcha Horns, and more.400 Plus Pairs of horns with huds and customizations. We look forward to seeing you at Fantasy Faire this year! ~ by Vae on April 23, 2015.